Ben Graduated from Germantown High School in 1998 and earned a degree in Business Administration from Mississippi College in 2002. Ben started helping out with his father’s business in 1998 on a part- time basis and after obtaining his real estate license became full time in 2003. From 2003-2007, Ben was the company’s licensed leasing agent and in 2005 he started buying cash flow rental properties and building new single family homes. In 2007, Ben became the leasing manager. He understands the importance of building relationships through straightforward and honest communication and these qualities have helped the company grow from 250 properties to the hundreds we have today. Ben oversees a wide range of responsibilities that include marketing, leasing & sales, property acquisition & renovation, real estate investing & most importantly providing great customer support to all of our 100+ owners and investors both locally and across the globe. Phillip graduated from Woodlawn High School in Baton Rouge, LA in 1998 and earned a degree in Business Administration from Mississippi College in 2002. 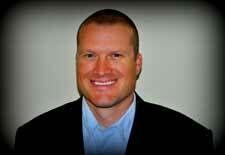 Phillip started full time with Reed & Associates after obtaining his real estate license in 2003. Phillip oversees and handles all aspects of property management. In 2004, Phillip earned his general contractors license and started building new single family homes in Memphis. In 2006, he successfully negotiated and sold over $4 million worth of investment properties and obtained the ARM (Accredited Residential Manager) designation. In 2009, he became a real estate broker. Phillip has a strong work ethic and multiple responsibilities that include property management, accounting, and property financing, but most importantly providing great customer support to all of our 100+ owners and investors both locally and across the globe.